In the companion Trust Toolkit, our colleagues offer several tools to support leaders in building trust among their teams and partners. The tools include a model for transparency in decision making, the use of stretch delegation to build the skills of team members, self reflection as a critical skill for leaders and the power of core values to shape a trust-filled environment. We’ve written a lot on this blog about the role of trust in building and maintaining collaborative organizations and effective networks. 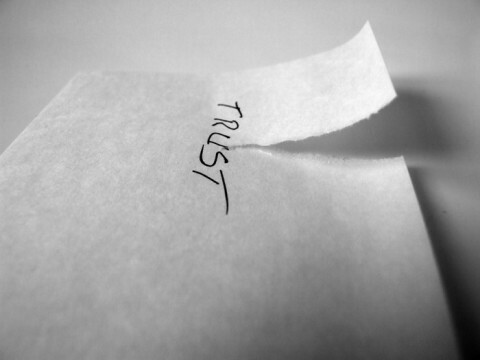 Trust is, as my husband likes to say, the “coin of the realm” in collaborative contexts. Without being able to rely on the “the integrity, strength, ability, surety, etc., of a person or thing” or holding a “confident expectation or hope of something” (dictionary.com’s definitions of trust), it’s nearly impossible to imagine people combining their efforts and resources to achieve a common good. How important is trust to the work you do and the goals you pursue? How do you approach building trust? What have you seen work to bridge demographic, organizational and other differences? i think trust is very important for an organisation to forge collaborations with other organisations.Trust-based collaborations are the growth indicator an organisation,an organisation cannot remain in isolation.Leaders today need lot of trust tools for building trust among their their team members.In India,this aspect has not been explored much in organisational dynamics.